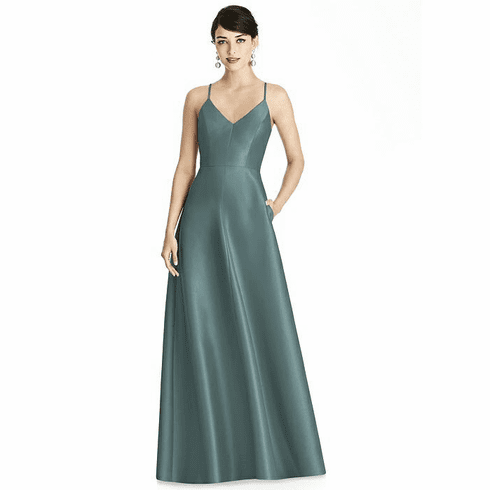 Description: Full length sateen twill dress w/ v-neckline and seamed bodice detail. Criss cross spaghetti straps. Pockets at side seams of full a-line skirt.